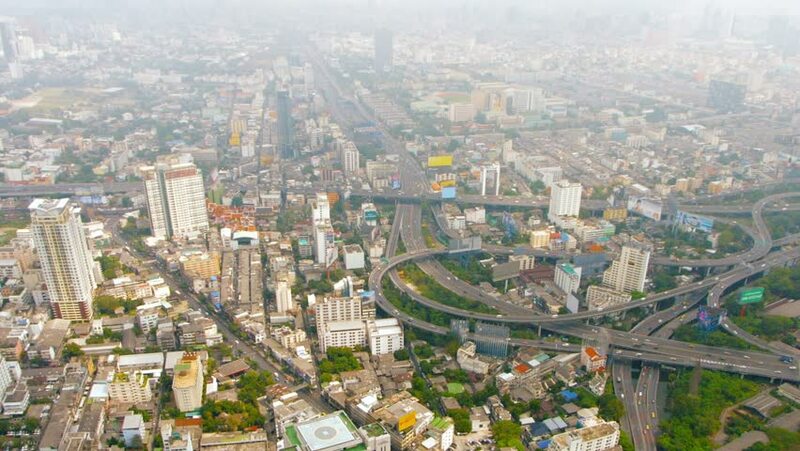 Video 1080p - Downtown cityscape of Bangkok. Thailand's capital city. on a smoggy. hazy day. with a major highway junction from an elevated position. 4k00:18Aerial shot of highway intersection, I-95 and MacArthur Causeway. Aerial view of Miami freeway junction. 4k00:26Aerial view on water canal in Kyiv, Ukraine. LR pan. Beautiful urban landscape on water canal, avenue and neighborhoods.